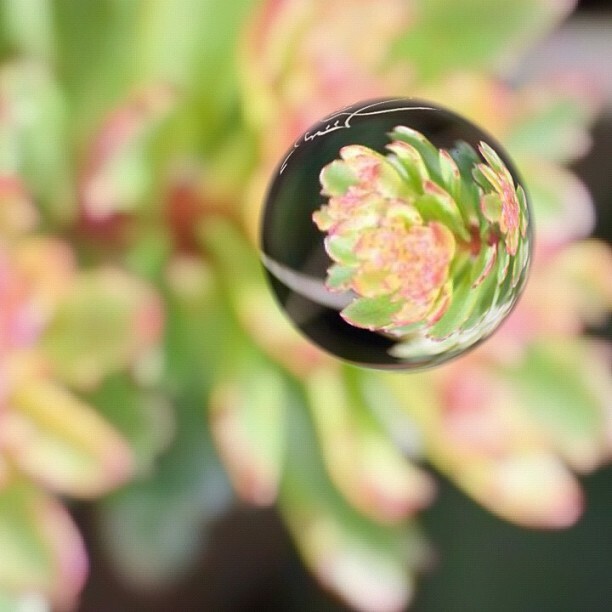 MarbleCam takes pictures that look as if you had focused on a glass marble with a macro lens. The beautiful harmony of the scene appearing upside down within the marble and the blurred background make it look like you took your photo with a real marble or a soratama lens. The blogagaini weekly Photo Challenge: Lost in the Details was shot with my iPod Touch 5, Edit Invert with PS Express and detailed with Marble Cam.